Out of every potential hair loss scenario that could affect a man or a woman, sudden hair loss is by far the most terrifying – and least understood – process. Understandably, the idea of suddenly experiencing hair loss, with no easily discernible warnings or symptoms is an emotionally stressful and potentially even traumatising experience. Read on to discover how the onset of sudden hair loss might not be as sudden as you’d think, who’s most susceptible to it; steps to take to prevent it, and how Advanced Hair Studio can help if it happens to you. What Is Sudden Hair Loss? 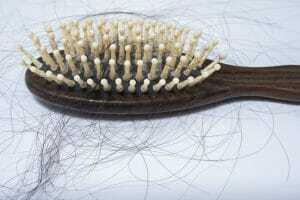 Sudden hair loss Is a catch all term, that can be caused by a very wide variety of factors. In men and women, some of the most common causes of sudden hair loss are certain aggressive forms of alopecia, such as Alopecia Universalis and Alopecia Totalis. These forms of Alopecia can develop quickly, and their effects can be felt very suddenly. Less common reasons for sudden hair loss include thyroid disease, hormone levels, the use of new medicines; as well as a variety of lifestyle factors. This lifestyle factors can range from small details such as a lack of exercise, to more serious factors like a poor skincare regimen or an imbalanced diet. Emotion and mental health also factors also plays a significant role in sudden hair loss. Studies have shown that negative, traumatising changes in a person’s life can provoke unexpected hair loss. Despite everything we do know about the causes of sudden hair loss, there are still many more reasons that remain unknown to science. The truth is that sudden hair loss can be a difficult, confusing process; which comes seemingly out of nowhere. It’s an unfortunate reality that in spite of our best efforts, at some point or another, a large amount of people is likely to experience sudden hair loss at some point in their lives. Advanced Hair Studio can help determine why you’re losing your hair, and what to do to get it back, remembering that early intervention is key to the success of any treatment program. To start, you can take our Book a Complimentary Advanced Hair Check. It’s free and no-obligation, and will help us advise the best treatment option for you moving forward. Sudden hair loss is a stressful occurrence, but it doesn’t have to be permanent. Advanced Hair Studio has industry-leading options designed to help you recover and rejuvenate your hair.